Did you use 3d max, milkshape or wings 3d? Fullins work was amazing for hiswar and should of been used. We will see what HW2 brings. As I said before I enjoy it the way it is now but I do know the interface turns alot of people away. Lord Bloody Bill wrote: Fullins work was amazing for hiswar and should of been used. We will see what HW2 brings. As I said before I enjoy it the way it is now but I do know the interface turns alot of people away. The problem with HW is not everybody like the distant feeling of commanding at corps level, at least this is what kept me off of that game. All in all I think that my expectation were wrong but UI really helped making me to hate the game. Simply I could not follow the battle in 3D, if I want a 2D battle I can find old titles with much stronger community behind. And then animations and effects were simply unacceptable and much contributed to decrease the already low immersion feeling. What I see of HW is that even players, who strongly declare their love for it, in the end don't play it as much as NTW3 with all its crappy crash and drops. This for me says it all. I badly hope next version will be at least more intuitive and understandable. It's not graphic alone that I miss even though some more improvement would be needed because Austerlitz new images look ugly as before. I don't pretend too much to leave HBs and I bet you know how many hours I spent modding them. I would agree Desaix, I enjoy my HW battles and the 3d is not bad until combat is made. I do hope this animation is fixed for HW2. That being said there is just something about the game scale and command that I really enjoy. A Corps level game won't interest some, no matter how good it might be. A couple of pictures, which I think are fine. Last edited by Lord Gunner24 on Fri Dec 28, 2012 6:49 pm, edited 1 time in total. Gunner this type of graphic was standard in 2005 or 2007. Everything from distance will look \ good but when you zoom in situation is different. I know that histwar was designed for big battles and details could kill performance. Well I live in the past, so that explains why I like it so much. HW2 will be here next year. I don't know how to explain. SOW graphic are 2000 standard, with those sprites filmed in 16 positions, but the overall gameplay is much more intuitive for me with an AI really challenging. HW has some strong points, large battle, MP reliability but those come at a huge price in term of battle flow. BUt enough chit chat for me, as I said I really hope HW2 will be a breaktrough to give us years of good games. That was my whole point. We are Napoleonic fans , not CA fans... God forbid. So , there is nothing in this world I would welcome more than a game that Ii like. HW doesnt cut for me.Hopefully HW2 will. Arguments and disagreements (about all kinds of things) mostly come and go with time. I do hope it will as well, but no matter what the graphics and interface, or even game play are like in HW2, it will be the same game as HW1 - with important improvements, but not a brand new game, it will still be a (mainly) a large scale Corps Command type of game, although I have been experimenting with much smaller scale battles recently and they are working very well. JMM is taking a break until 2/1/13, so no news expected until after that. Eye candy indeed, Fullin. Models and those battlefield views look great. They should have paid the price you "asked"
I have been looking into HW and if blessed with more spare time will give HW2 a good try. My main interest is command on Corps level, doctrines that can be edited, and other stuff NTW3 lacks. stilgar wrote: Eye candy indeed, Fullin. Models and those battlefield views look great. They should have paid the price you "asked"
The declaration below are the opinions of citizen Fullin only, the Lordz does not abide, negate or uphold , those statements. I love Corp level, but not in a battlefield scenario. Corps is about maneuvering , using roads, weather , days , mud, line of communications. In HW is a massive AI contrloled unit, with no room to maneuver. Realistic, maybe. Interesting , no. Interesting comment. The NBC gaw campaign game has been like this in the past, massed Corps all on the same battlefield - but we are trying something new this time. Please take a look if interested. We are hoping changes in HW2 will make this type of game a lot better. This is all being done as you speak fullin. I may be doing the whole interface for the game, i am still looking to see if i have the time and knowledge to take on all that and not just the editors. All the buildings have already been redone and look gorgeous. They are just not incorporated in the game yet. 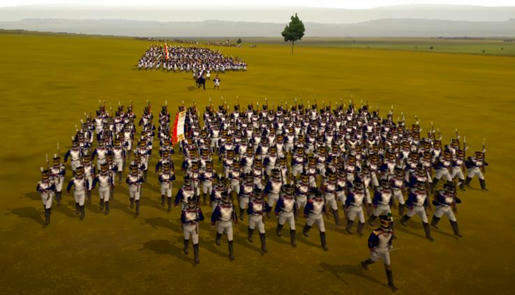 Occupiable buildings will be there, all villages and towns can be maned, it will not be in the same concept of NTW where you see men go in break windows and stuff, but regiments will occupy buildings, get a bonus from that and you will see musket fire coming from buildings as the defending men shoot at the assailants from inside. Not to worry, the game will be as stable as Histwar 1. For high end PC's 1:1 scale will be available, as well as other scales for weaker platforms. 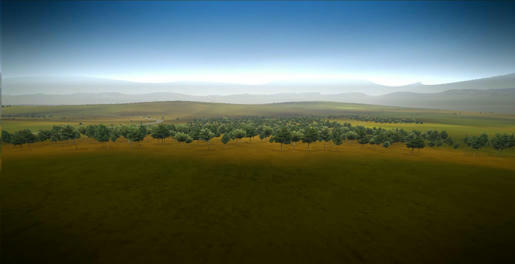 1/ New terrain: Different than the improved terrain of HW1. Brand new, very detailed, gorgeous looking, especially with the new shaders that were implemented. Looks awesome as you can see in the video just released. 4/ All sounds are being redone, as well as the music. There is a professional musician working on that. I can tell you that the main game menu has awesome music because i already heard it. 5/ Brand new interface in the works, an interface that is inspired by today's popular games. As far as the game concept goes, it is still about commanding a whole army. New options will be introduced to get the player much more immersed. As in Histwar1, micromanagement will be possible. However i do not see how one will micromanage > 100 units unless you play the game almost in real time or playing 3vs3 or 4vs4 dividing the troops. Where is the best place to ask you directly about requirements for OOB editor, which I believe you are working on? I have so far done the main launcher of the game. It is all finished. 2/ Romain is working on the textures to be used. So here or the napoleonics forum would be good places to reach me. Last edited by Lord Lancier on Tue Dec 17, 2013 8:13 pm, edited 1 time in total.